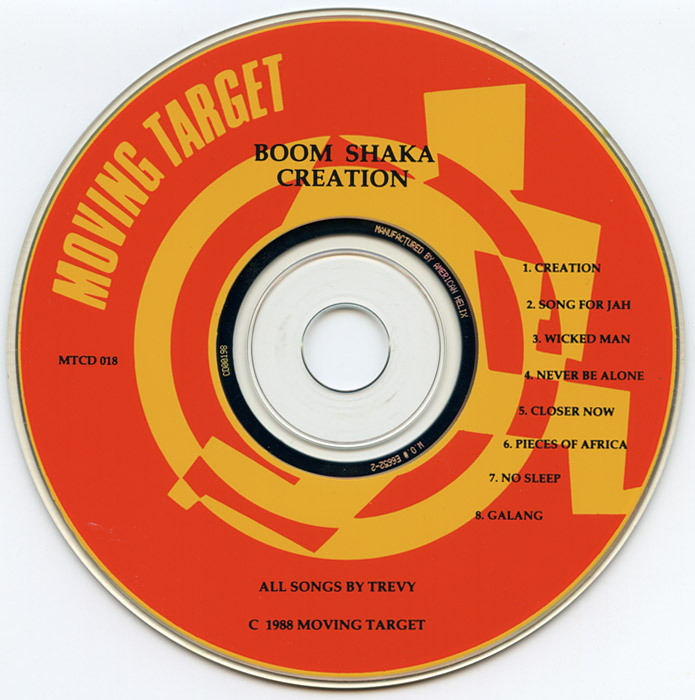 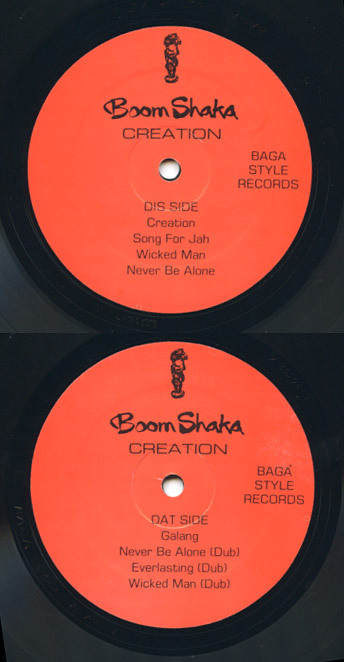 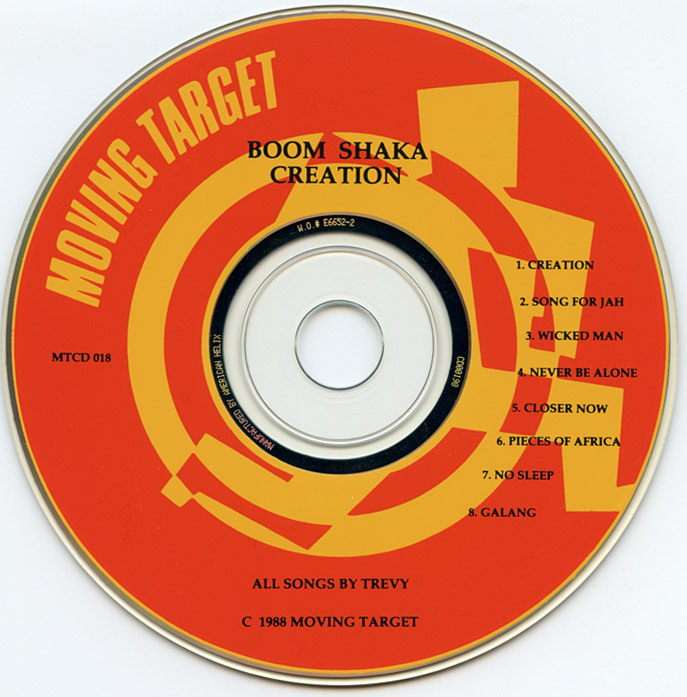 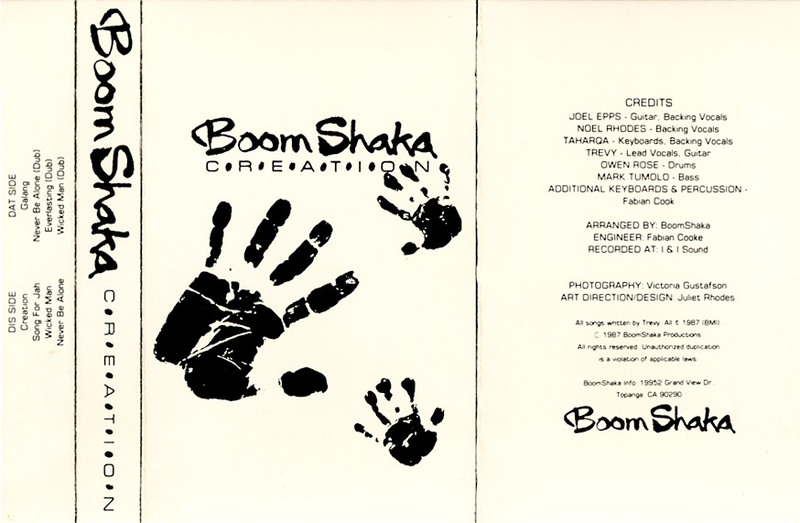 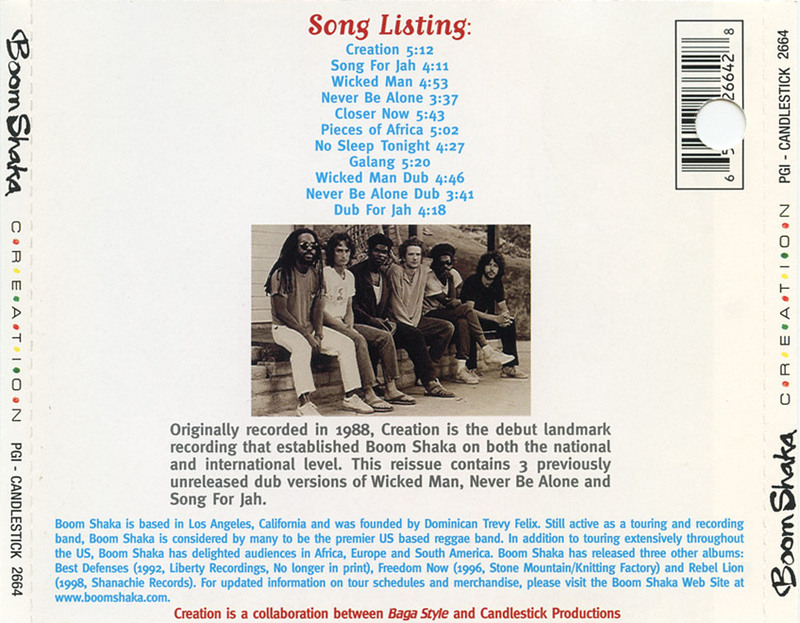 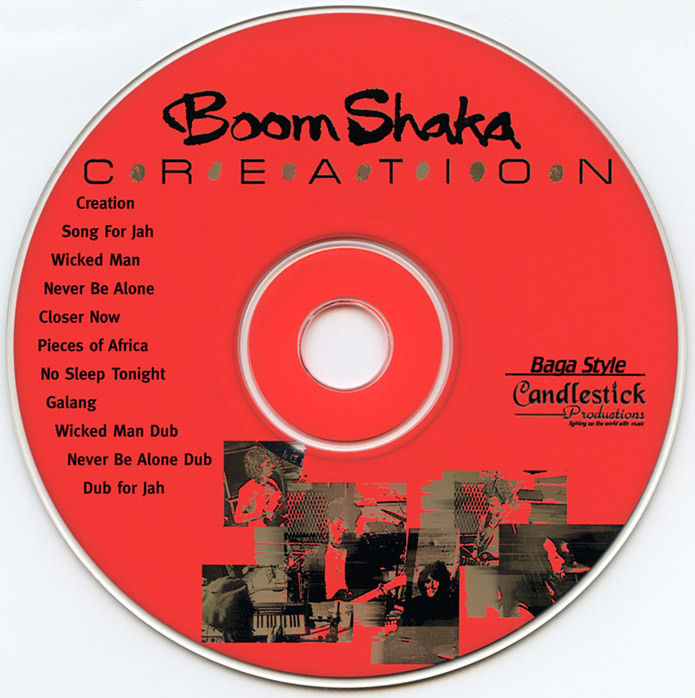 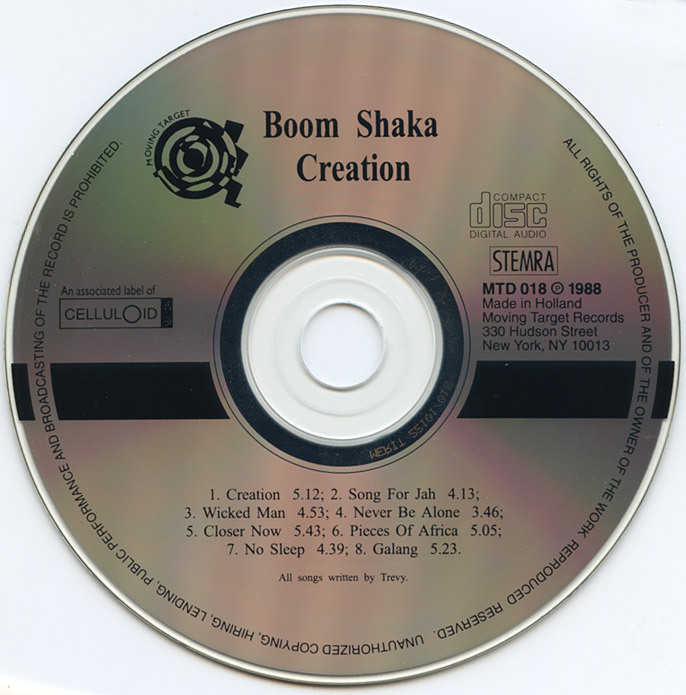 Creation had several different releases, all ten of the known versions and variations are listed here. 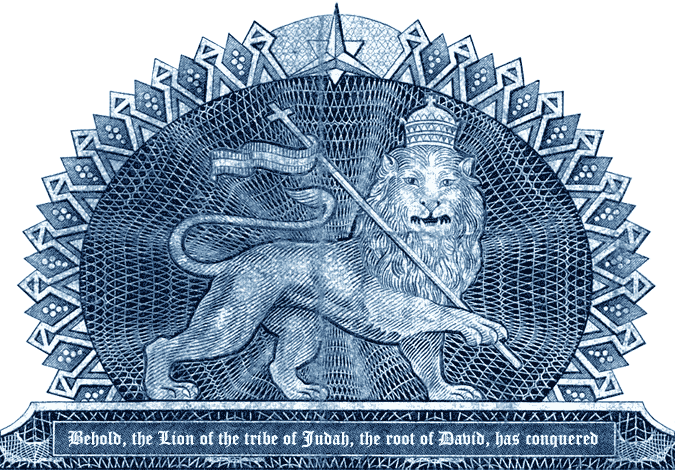 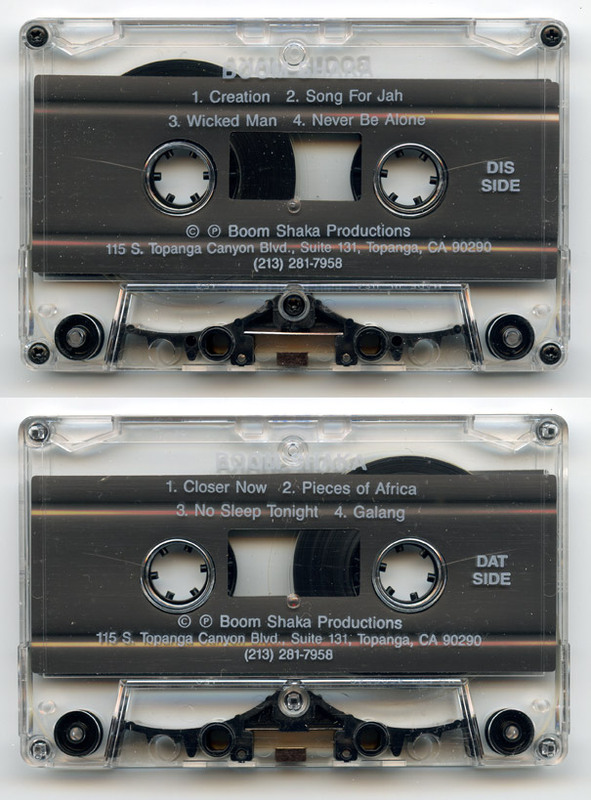 For the updated version four new songs were recorded at three different 24 track studios in Los Angeles: Closer Now, Pieces Of Africa, No Sleep Tonight and a new version of Galang. 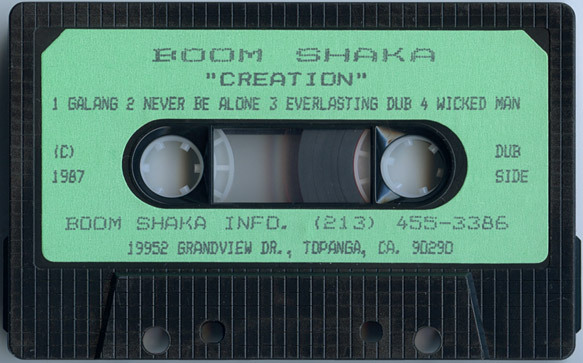 The new songs replaced the dub versions on the original LP and cassette. 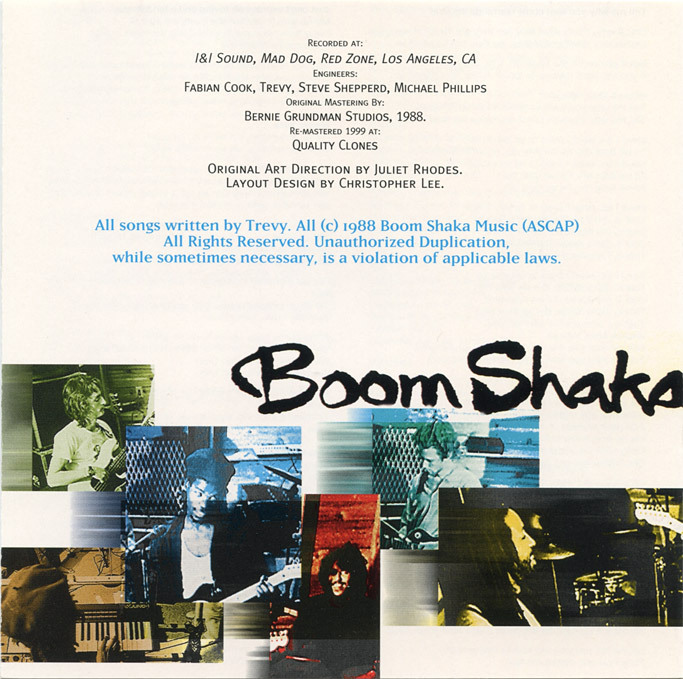 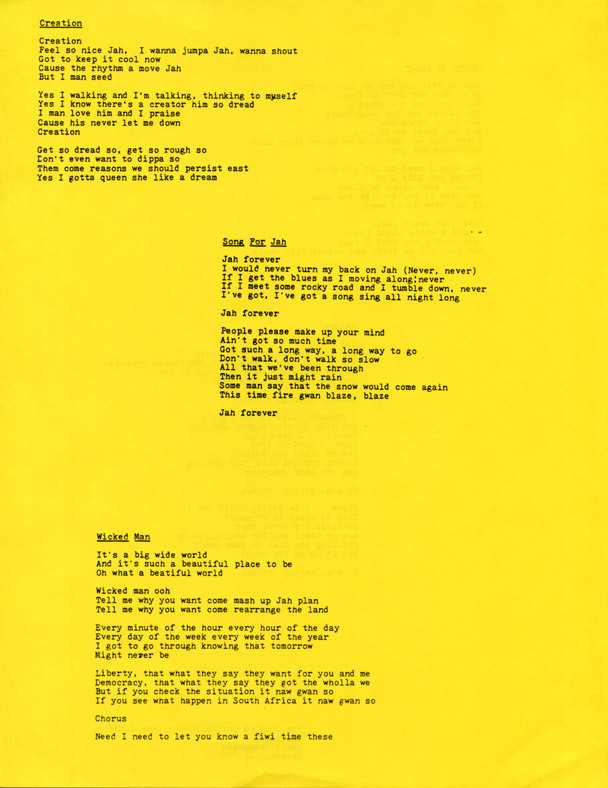 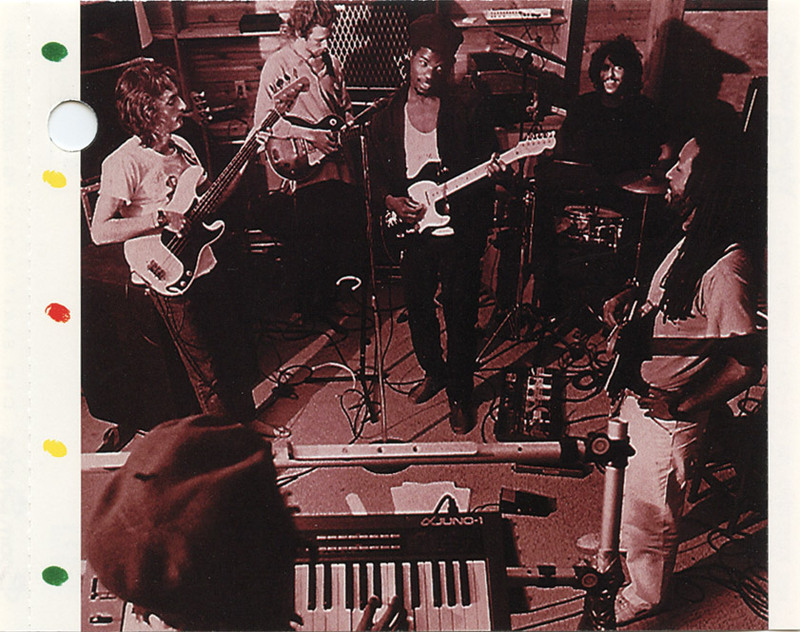 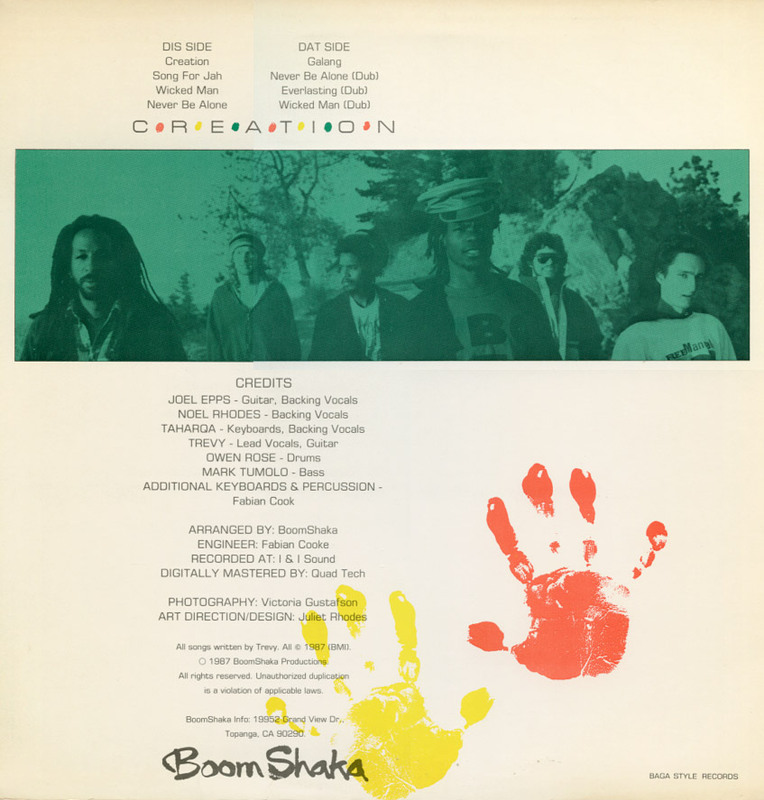 The lineup of musicians was the same as the original LP version, but two background singers were added, Mashariki Ramey and Marina Bambino. 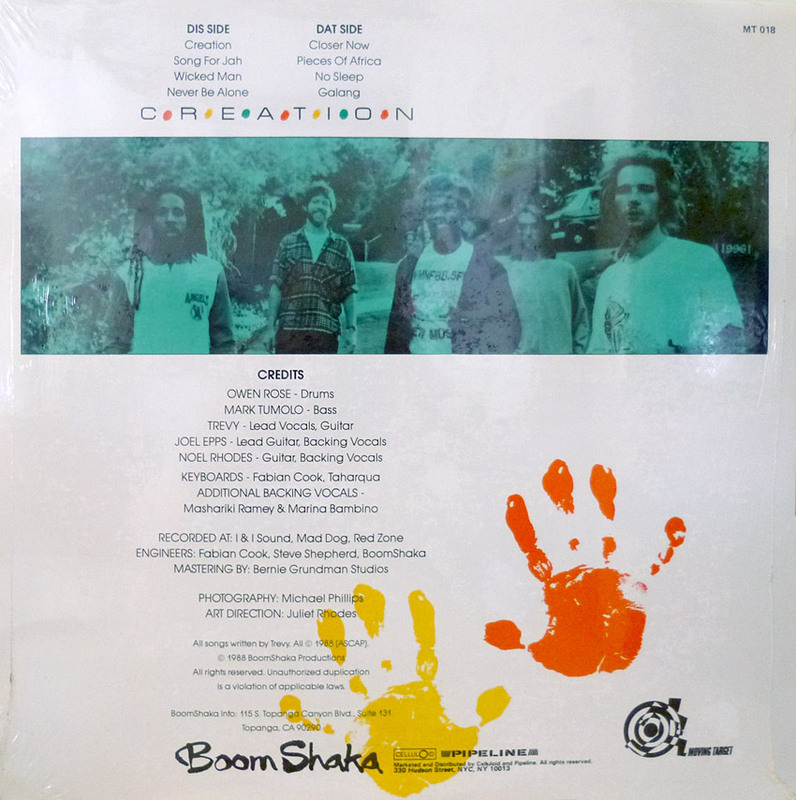 The first Celluloid/Moving Target release was a rush job with an updated back cover photo but the original LP track list (though the LP labels list the correct tracks), incorrect and missing credits, and for some reason the cover colors are red, gold and…blue? 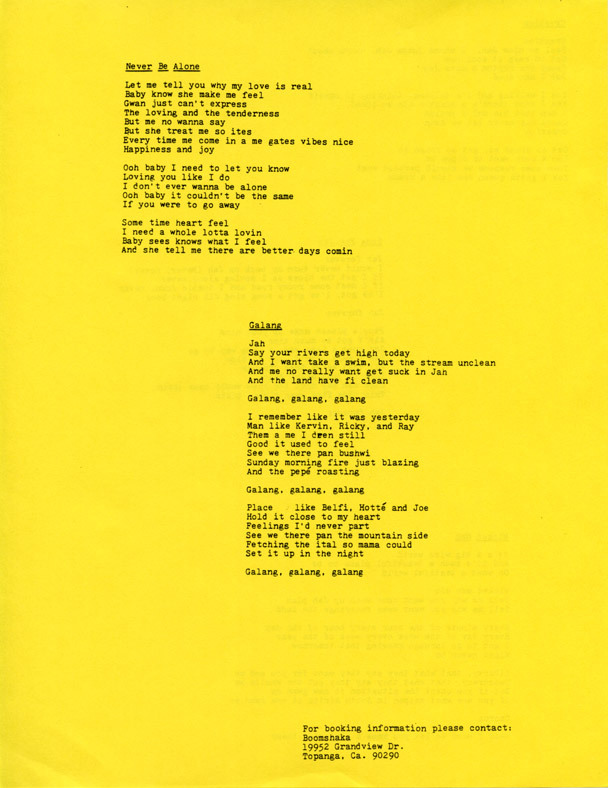 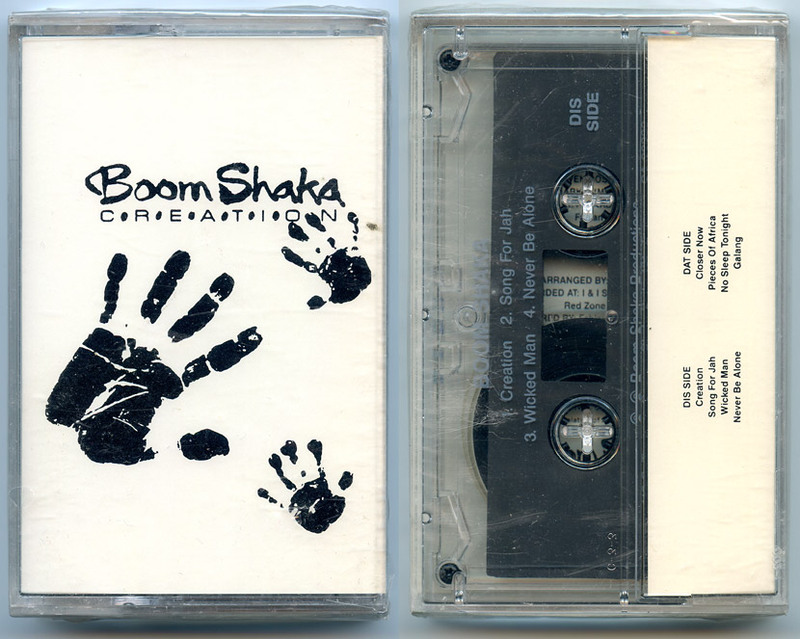 Later version of band-manufactured cassette to sell at shows, etc. 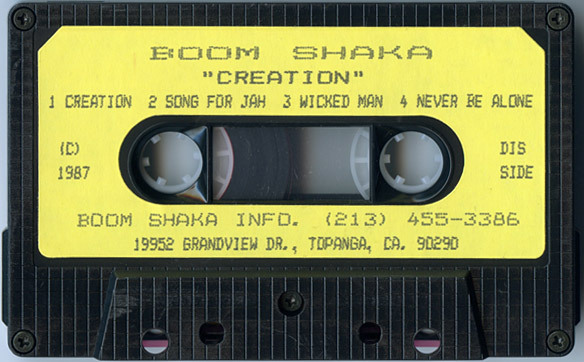 Long time keyboard player Binghi-I gets a credit, and the contact address is now a Topanga PO box rather than Trevy’s home address (though the contact phone number was still his home phone number). 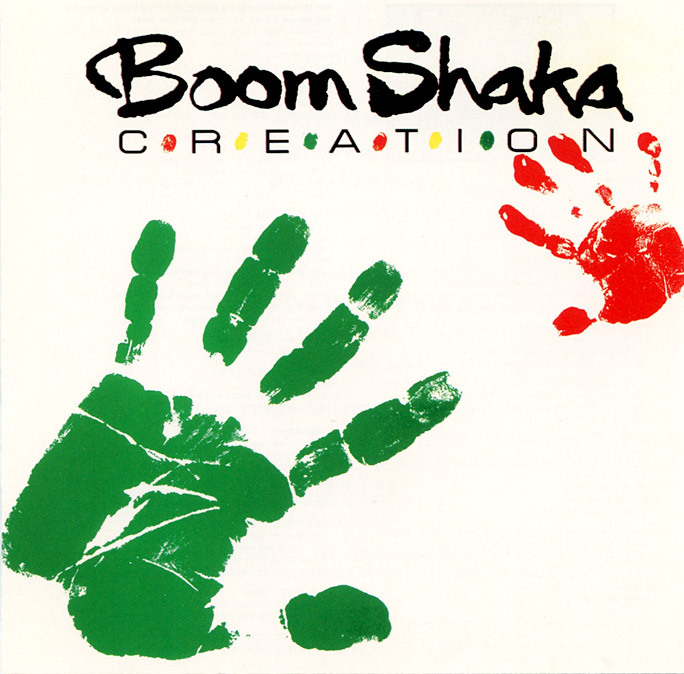 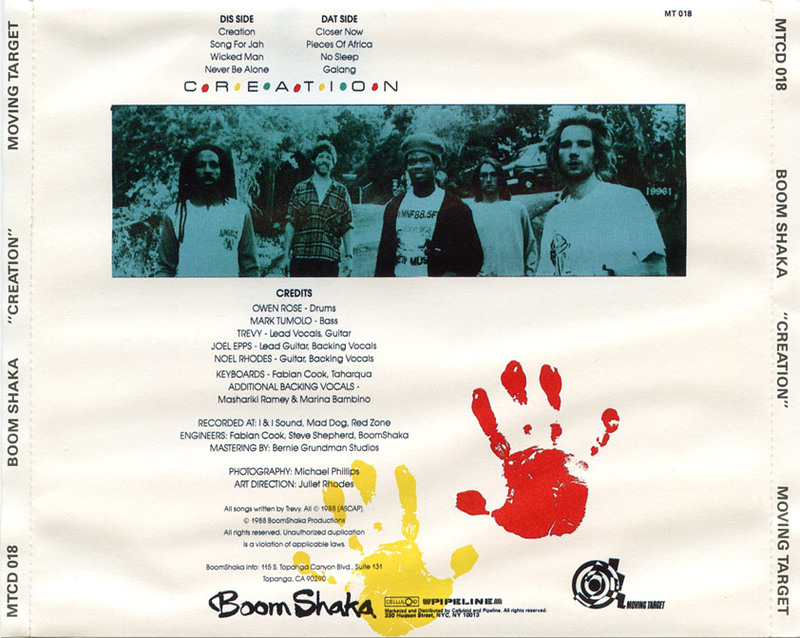 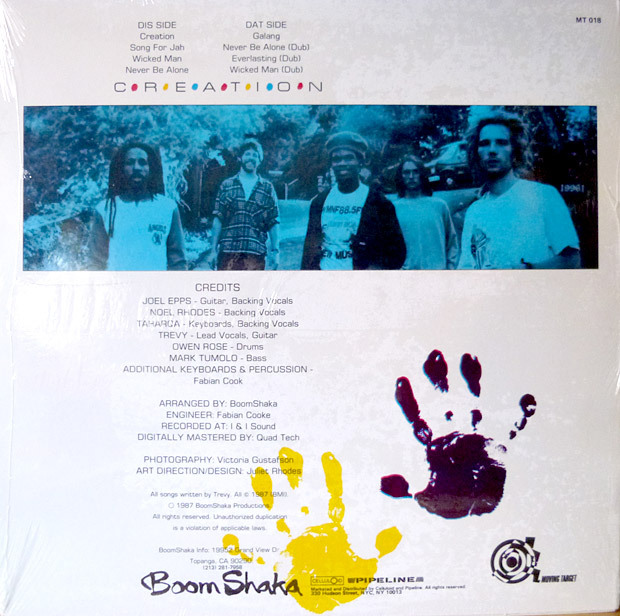 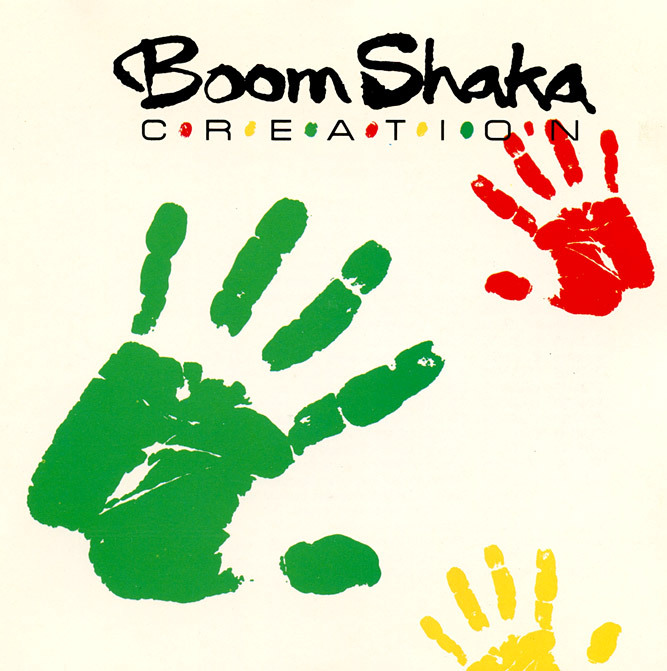 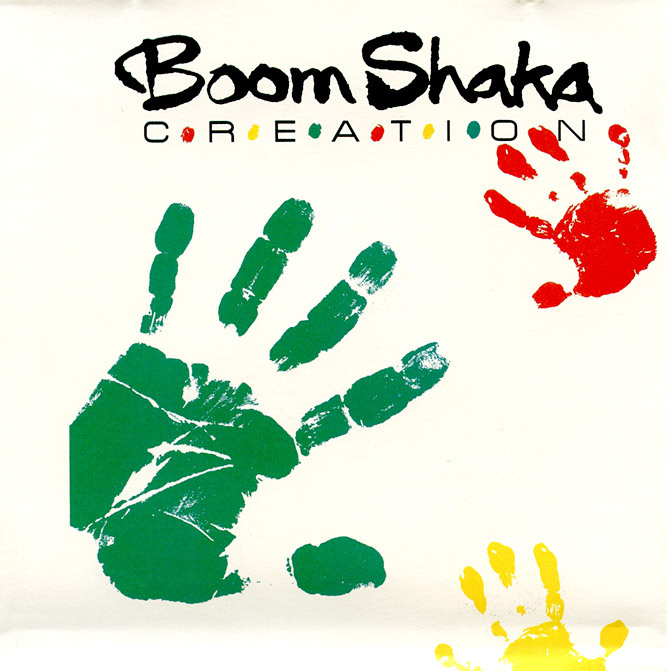 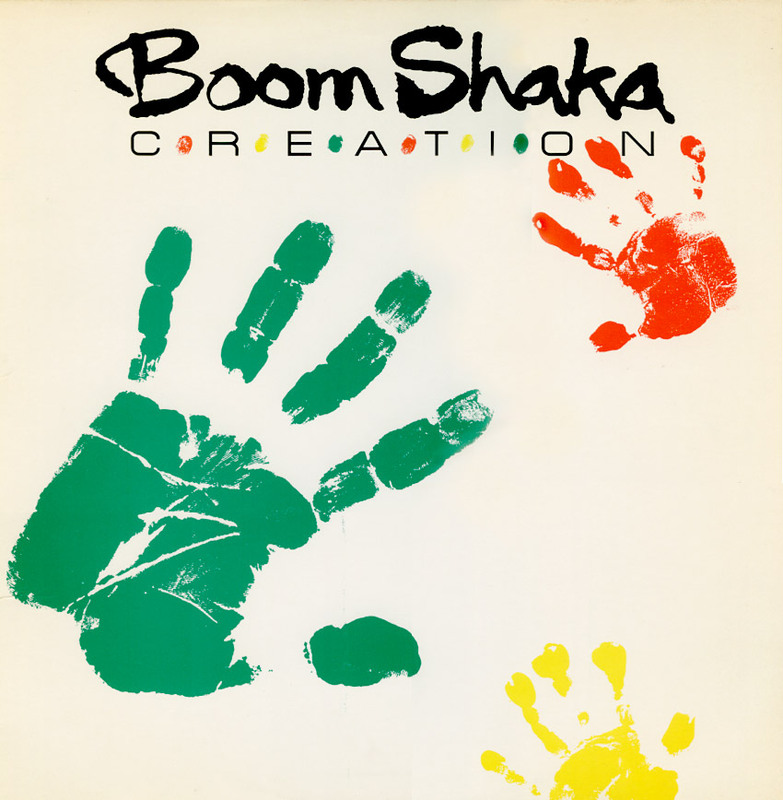 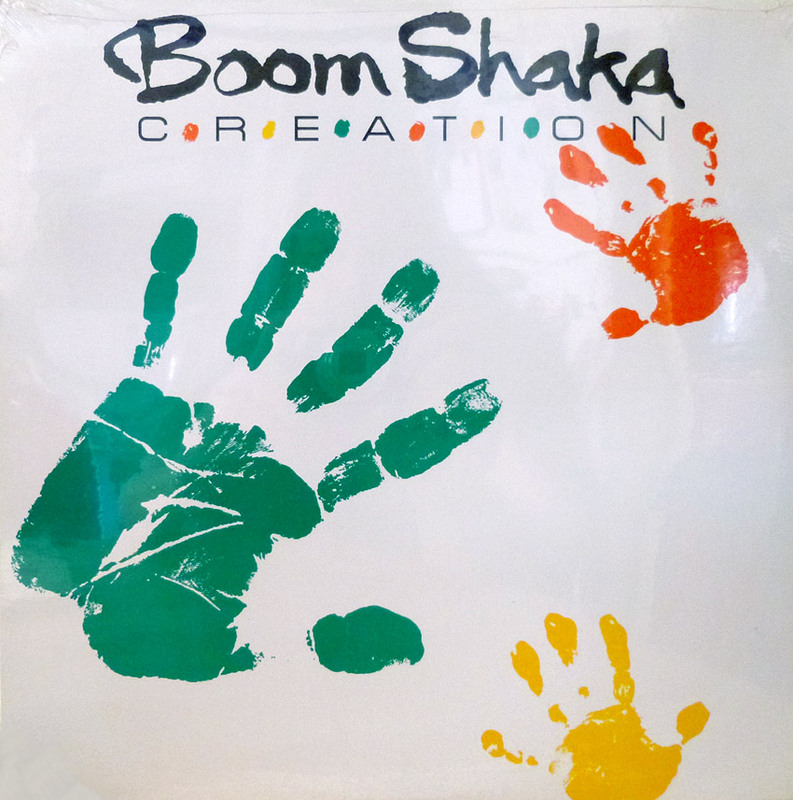 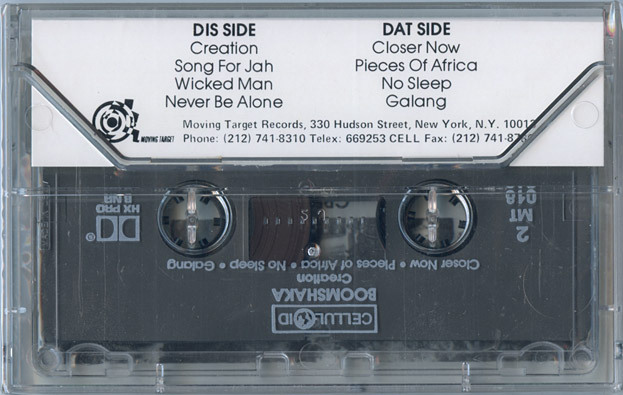 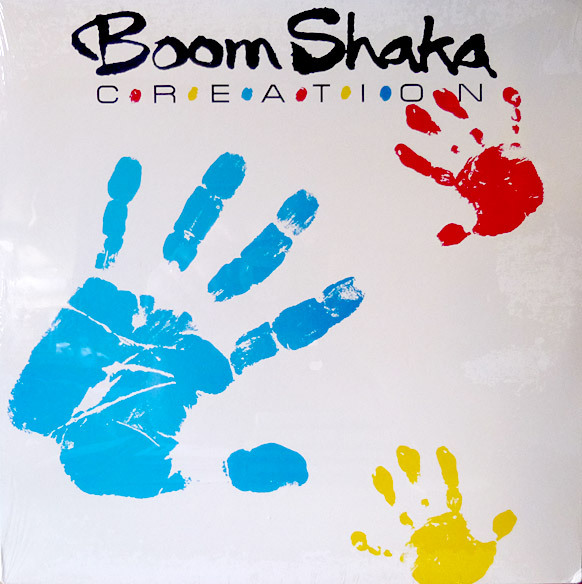 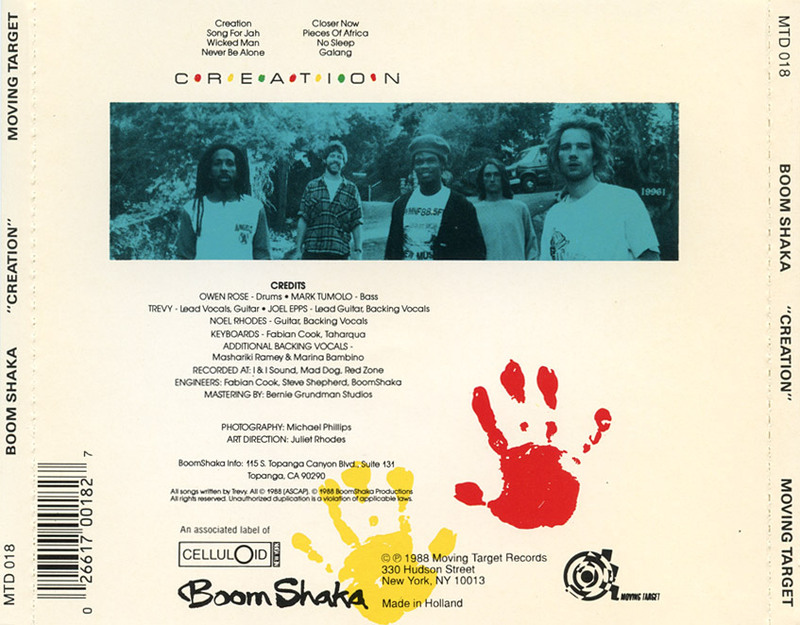 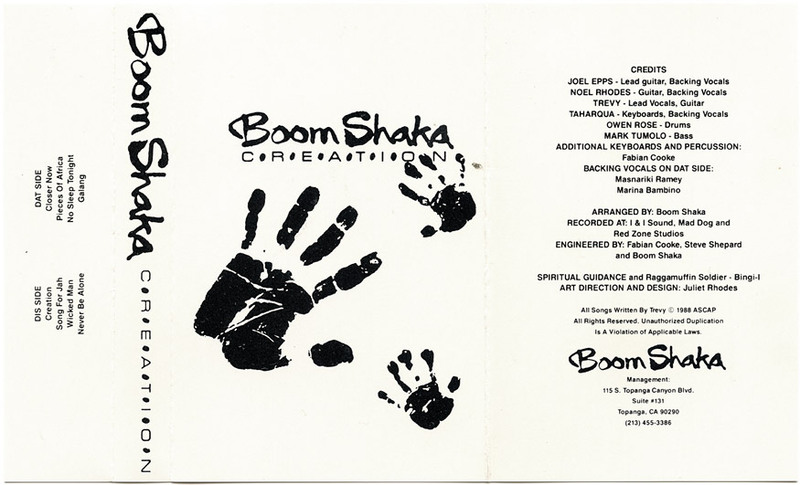 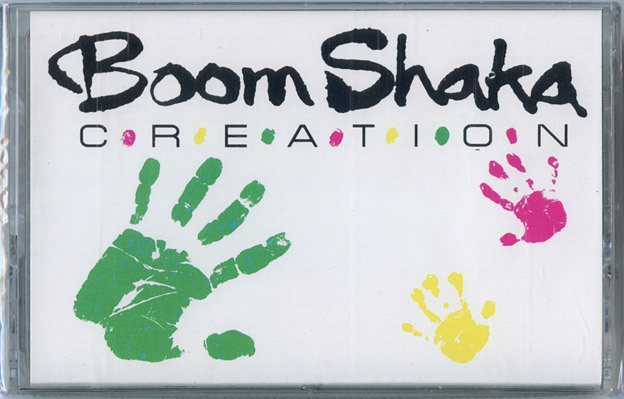 In 1999 Creation got the deluxe treatment, with a remaster and the inclusion of all eight studio tracks plus the three dubs from the original LP (the only thing missing is the original version of Galang).